● The Indian National Congress (INC) is one of the oldest parties in the political system of Republic of India. ● Formed in 1885 by A.O.Hume, an Englishman and a retired civil servant. ● Hume’s main purpose was probably to provide a “safety valve” to the growing discontent among the educated Indians. ● Other important leaders during foundation were Dadabhai Naoroji, Badrudin Tyabji, Anand Mohan Bose, R.C.Dutt, Ferozshah Mehta, G.K.Gokhale, G. Subramaniyam Aiyyar, Dinshaw Vacha, Bal Gangadhar Tilak, Mahadev Govind Ranade, Madan Mohan Malviya. ● First session in Bombay under W.C.Banerjee in 1885 (72 delegates attended it). ● In the first two decades (1885-1905), quite moderate in its approach and confided in British justice and generosity. ● But the repressive measures of the British gave rise to extremists within Congress like Bipin Chandra Pal, Bal Gangadhar Tilak and Lala Lajpat Rai (Lal, Bal, Pal). 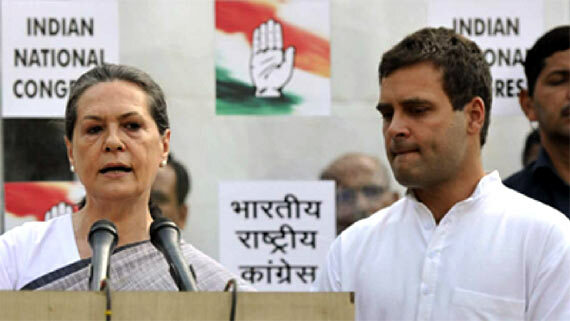 ● The current president of this party is Sonia Gandhi.